Calendar: «National Vegetarian Week» & cards, «World Vegetarian Day and International Vegetarian Week» & cards, «World Vegan Day» & cards, «Great American Meatout» & cards. «Nobody really needs a mink coat» illustrated quotation. Vegan, free quote pictures for Facebook, Twitter, LinkedIn, Reddit, Pinterest and other social networks. 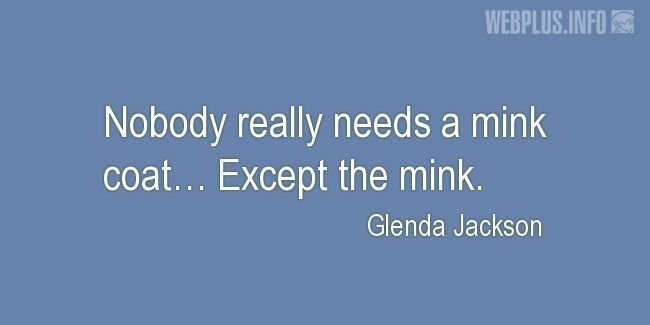 Nobody really needs a mink coat… Except the mink.